Philip C. Puglisi, Esq., a Bergen County and North Jersey Divorce Lawyer, wants the payor of alimony to be aware of a recent case regarding a change in circumstance as it relates to cohabitation and alimony. A divorcee whose live-in-boyfriend perked up the ex-wife’s lifestyle can affect her alimony. A divorcee’s plush lifestyle provided by her paramour can be considered when her ex seeks an alimony reduction, a State Appeals Court held recently. The Appellate Division, in Reese v. Weis, A-5557-10, turned aside arguments that the gifts and luxuries lavished by the woman’s live-in-lover were outside the equation. “We reject this view and hold that the provision of emoluments, which enhance a dependent spouse’s lifestyle, also equate to a tangible economic benefit from the new living arrangement,” the panel held. 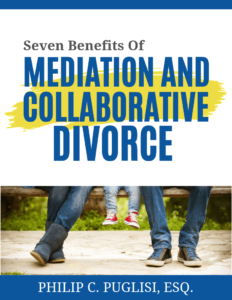 Bergen County and New Jersey divorce attorney, Philip C. Puglisi, Esq., says that payors should see an attorney if they are in a similar circumstance or if they seek a modification or termination of alimony.